Last week I met with the rest of the Collected Poets Series (CPS) board to begin planning the 2010 readings. After we’d been at it for about 3 hours, Lance showed up with the boys to check in, and asked if we’d seen the “dragonfly tornado” across the street. Naturally, we poet/shut-ins had noticed nothing of the kind. And he wasn’t kidding! This was no small thing — hundreds of dragonflies, easy. It was about twilight, humid warm air, mosquitoes out in force, the perfect conditions for dragonflies to swarm, though I’ve never seen it before. Somebody took pictures, so I’m hoping to have one to share at some point, because it was amazing! 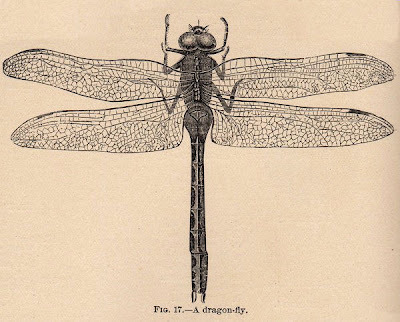 As is inevitable in a roomful of poets, a poem challenge was issued for each of us to write a poem incorporating the words “dragonfly tornado”. The winner will receive a book of poems from each of the participating poets. We have an additional two weeks to work on it before turning in the poems for judging, but my mind’s been buzzing with ideas all week, so that’s the poem I’m writing, and I certainly can’t post it, or it could skew the results — we’re judging blind. All this to say that although I’m not posting this week’s draft, I do indeed have one. I promise I’m not slacking off! I copied my manuscript in its current full-length entirety into that wondrous website for word-lovers and seekers of writing prompts, Wordle, and this is what resulted. I have to say, I’m surprised that “like” is so prevalent. I have an aversion to similes — I expected “boy” to be the word that really popped out. Ah well. This means that not only was it fun to see my manuscript dolled up in neat colorful piles of words, it also turned out to be useful. Like scrubbing bubbles. Or tinted moisturizer. Or bananas. Bananas equal versatility in a skin. So go punch a poem into Wordle and see what happens to your words. A while back, I mentioned this great new program that DZANC Books is running, the DZANC Creative Writing Sessions (DCWS). I have since tried it out, and I simply can’t say enough good things about it. The DCWS “allows writers to work one-on-one with published authors and editors to shape their short story/novel/poem/etc.” For less than the price of new sneakers you can receive a thoughtful, intelligent, in-depth critique of your work. And you choose the author you want to work with from a large list. The fees for the program are low because the authors have donated their time; all the money goes toward another program DZANC runs to bring writing programs to schools, grades 4-12. Thus in one fell swoop you get personal attention for your writing at bargain-basement prices and contribute to an important cause. I signed up for 2 hours, chose the poet I wanted to work with by researching the authors online, and sent 5 poems. If you participate, be aware it can take a little while — you won’t receive a critique the very next day. The authors have donated their time, life is busy. However, the level of critique I received was stellar. How deeply this poet engaged with my work was really gratifying. And the benefit of having this established poet, who doesn’t know me or my poems, and hence approaches my work completely blind, without any preconceptions or received knowledge, is invaluable. I’m thrilled with the feedback I received. I’m working toward a full-length collection (wheee! ), and do my writing in near-isolation; I don’t belong to a writer’s group or a critiquing circle. And my funds are very limited. (As a friend said just this morning in an email,”Anything that you spend $$ on, I think is worth listening to!”) DCWS is a wonderful tool for someone like me. And I loved it. I hope it does well for them, because as soon as my budget allows I intend to sign up for more! I want to thank Karen Weyant for blogging about her experience with DCWS back in June. Her post gave me the impetus to try it out, and I’m so happy I did. Thank you, Karen! Draft of the Week, #5. To file under “new and different”: recent weeks have seen a large number of folks visit this blog in search of the voice of the talking pothole in what I guess must be the latest Geico commercial. I would check YouTube, but video and audio don’t play nicely together with my internet connection. Has anybody seen this commercial? I’m expecting it to be something special, considering how many people are Googling it. She Walks into the Sea, by Patricia Clark. But the amazing fact is that’s it’s not so small you can’t make halleluiah discoveries every day. The internet has burst open the poetry world, making it easier to happen upon fresh talent, but these discoveries can include even poets as well-published and established as Patricia Clark. That I met her through SHE WRITES says rather more about me and how my time is spent than I’d like, but it can’t be considered a frittering away when it’s through this meeting that I’ve met her unassumingly grand poems. I hesitate to call them “nature poems”, not because I think there’s anything wrong with that label, but because I hate to reduce a poet’s work to any label, trapping it under stickered glass. However, the natural world does figure strongly in She Walks into the Sea, with elegant and moving results. I began this blog as one way to introduce and “handsell” books of poetry to readers who might not otherwise hear of them. (I also wanted to keep my various family and friends abreast of child-related news, but never mind…) As book review sections shrink, the already miniscule pages devoted to poetry shrink ever smaller. Poems and notices of new poetry books by other poets have been regularly featured here. My children have been a (delightful) disruption (at this very minute Vincent is knocking against my chair with some verboten sharp object), but I hope I’ll manage to introduce you to at least one new-to-me poet per month. When I was lonely, I talked to the dog. When I talked to the dog, I was lonely. I suppose this thinking will continue. and by the ferns in their upright habits. When I grew up wild I was lonely. One girl in the midst of many is lonely. I suppose my thinking will go on and on. wave against my legs and my arms. Gardens are my green obsessions. in families, thinking of togetherness, think of me. It’s a tall spike, a swirl of cream and gold. The secret of childhood is hunger. And on the Fifth Week, She Revised. In keeping with the aura of the arbitrary that I like to foster around here, I’ve decided that every fifth week will be an off-week for my Draft of the Week series, so that I may use that time to revise the poems I’ve written in the previous four weeks. I’d rather use that time to go to the beach, but sacrifices must be made. It’s mid-August, now, and once summer’s over, the end of the year is only a stone toss away. I’m trying not to get side-tracked by panic.